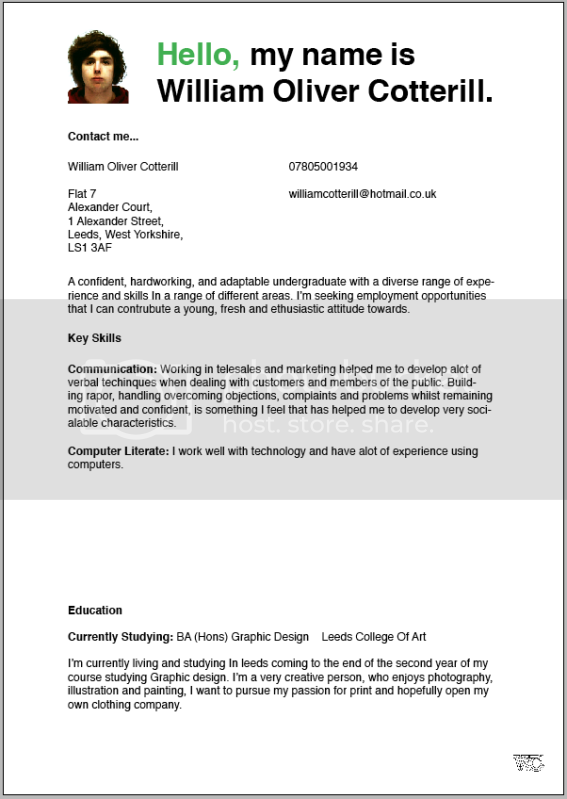 So far I've been developing a few ideas towards my creative CV. 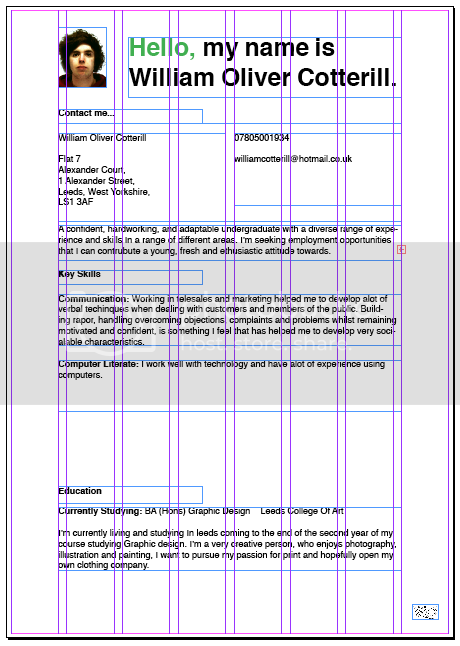 I want to produce a CV that's universal to the people I send them out to but at the same time tailored to the client/company who receives it. So far I've come up with the basic layout as shown below. Just working with some basic information and a layout to continue editing.